The Deputy President of the Senate, Senator Ike Ekweremadu, has hailed the election of the former Minister of Information, Chief John Nnia Nwodo, as the President-General of Ohanaeze Ndigbo. 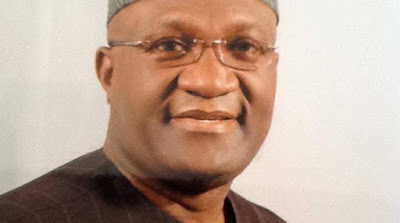 Reacting to the Tuesday election of the pan-Igbo socio-cultural organisation, through his media aide, Uche Anichukwu, Ekweremadu described Nnia Nwodo as a cerebral intellectual with well established contacts across Nigeria and beyond, hence capable of helping Ndigbo to regain lost ground. He said: “I congratulate Chief Nnia Nwodo and his team on their emergence. I have confidence in their ability to further reposition the apex Igbo socio-cultural organisation and relaunch Ndigbo to a higher reckoning in the country, while also working with other parts of the nation for the overall development of Nigeria. “I expect them to work with the Igbo civil society, the diaspora community, town unions, governments, political elites, and other parts of the country to bring out the best of the famed Igbo resourcefulness, intellect, and collectivism for the social, economic, and political transformation of Igbo Land and Nigeria”. Ekweremadu, who commended Ohanaeze for a rancour-free election, also tasked the new officers on an all-inclusive administration that accommodates and utilises the capacities of those who contested against them. He equally congratulated the newly elected executive of the Enugu State chapter of Ohanaeze Ndigbo led by Hon. Alex Chiedozie Ogbonnia. He described Hon. Ogbonnia as a capable hand and social mobiliser, urging him to further boost the presence, scope, and efforts of Ohanaeze in Enugu State.